Glowing, Blemish-Free Skin… 6 Easy Steps To Get There! We’ve all been through our fair share of acne, dark spots, skin scarring and lost glow. Puberty hit us with acne, our late teen years hit us with dark spots and scarring left over from multiple sessions of pimple-popping. How is it then that celebrities seem to be born with flawless skin and maintain it right into their 30s and 40s? It’s easy. These 6 miracle tips will transform your skin from just OK to a glowing skin! Right from the time you’re a teenager with random breakouts on your face, there are a few things to keep in mind. Your genes play a large role in the kind of skin you have but with proper care, you can have the kind of skin you want. Your skin health depends on how it has been treated in its formative years (read puberty) but with proper care, it can transform into beautiful skin that is aglow with health. A regular cleansing and toning pattern keep your skin balanced and protected. Never underestimate the power of sunscreen. And always keep wet tissues handy for when you need to wipe the sweat and grime off your face but you can’t wash it. Don’t have time for a routine so detailed? Use one product that does everything for you - which protects and works against ageing at the same time. Lotus YOUTHRx Youth Activating Serum + Crème has 10 times the anti-ageing power of a day crème and the deep penetrating power of a serum. When you’re happy, it reflects on your skin. This is because of the endorphins released in your body when you feel happy. Stress can cause your skin to breakout which in turn can cause bad skin health and lost glow. A happy outlook on life helps your skin relax and rejuvenate itself and both are as important for your skin as they are for your body and mind. From now on, change things around, do things that make you happy and smile as often as you can. 3. Mom’s Advice Is Gold, Follow It! The next time you dismiss what your mother has to say about skin care, think again. She has been through the stages you’re going through and her skin has transformed over the years. Yes, junk food will ruin your skin. Even though in your 20s your skin might seem invincible, the results of abuse show when you’re in your 30s. Keep a constant frown on that brow? Mom’s advice against doing so was spot on! Constant frowning will cause permanent lines on your face. And when she tells you to get your hair out of your face, she doesn’t only mean it will make you look tidier. The hair on your face means oil from your scalp and chemicals from the products you use on your hair will end up on your face. This can cause breakouts and serious skin disorders. It might sound impossible but getting the kind of fresh-faced glow you had as a teenager is possible. And while twenty is the new thirty and anti-ageing needs to start early, you need to use a product that hydrates your skin and boosts collagen levels as well. Skin health is not only determined by the routine you follow or the products you use. 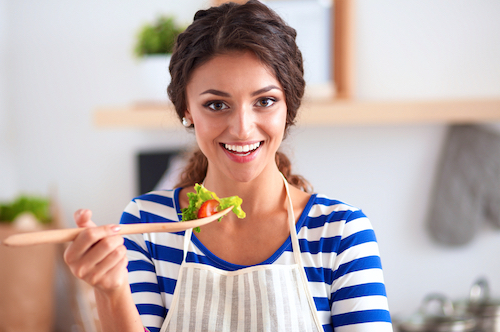 Your diet plays an important role in how your skin looks and behaves too. Incorporate ginger into your daily diet. Ginger contains around 40 antioxidant compounds that protect against ageing. It improves the appearance of skin by removing toxins and stimulating circulation, resulting in the delivery of more nutrients to the skin. The antioxidants prevent damage from free radicals, thus preserving the youthful appearance of the skin. In this way, it slows down the signs of ageing. The other superfood to include in your diet is ginseng. It contains a large number of phytonutrients. These phytonutrients can stimulate and activate the skin's metabolism and blood flow to regenerate and tone it. It is also thought to promote skin cell regeneration by increasing oxygenation of skin cells. It also has the effect of boosting blood circulation as well as detoxifying the blood. However, if you cannot incorporate these ingredients in your diet, the solution is to use Lotus YOUTHRx Youth Activating Serum + Crème, which is enriched with the highest concentration of both these super ingredients, i.e., ginger and ginseng. This has been said enough times and you already know it, getting at least 7-8 hours of sleep a day is important to keep your skin in top condition. Sleep deprivation can cause the skin under your eyes to dry out which in turn leads to dark circles. While sleeping a minimum number of hours a day is important, oversleeping is not recommended. Oversleeping can cause low energy through the day and is also associated with depression. Depression and stress can, in turn, wreak havoc on your skin. * This is a sponsored post for Lotus Herbals.